It’s crucial for 21st century teachers and students to determine together what a student will learn and at what pace. This resource dives deep into questing, a customizable pedagogy tailored to a student’s interests, needs, and abilities. 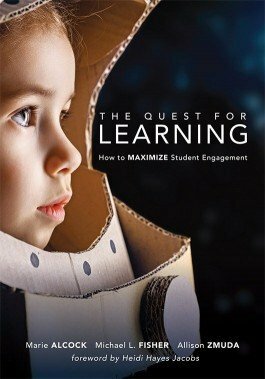 Learn how to use questing to engross students in emotionally gripping learning experiences, engage them with actionable goals, and promote collaboration in online and physical spaces. Foster students’ 21st century skills by engaging critical thinking, creativity, collaboration, and self-direction. Form learning partnerships with students that lead to co-teaching and co-learning. Explore the three main design types—(1) inquiry, (2) network, and (3) game—through which students can quest. Investigate the design decisions involved in identifying a quest, determining checkpoints, and helping students reflect on their quest. Use formative assessment templates for engaging contemporary learners.